Now I understand better how languages are connected. I have learned to see the similarities and differences across the languages I speak and to use this knowledge in a more efficient way when I learn a new language or search for words and structures in my ‚weaker’ languages. We gained more flexibility in switching between languages, which was an advantage for our internship in France. Anna says: „I had to ask the guests what they wanted, and if for example they spoke Spanish, I had to write down the order, go back to the bar or kitchen and tell the staff in French what the guests wanted. The other students always said that I had to go because they did not feel comfortable with switching between languages“. At the Turku School of Economics, business students study two foreign languages along with the two national languages, Finnish and Swedish. The learning outcome is the ability to communicate in multiple languages. Based on a recent needs analysis, several plurilingual courses that aim at plurilingual proficiency are offered. Specific plurilingual activities such as codeswitching, mediating and transfer, which facilitate efficient communication in international business communication, are practiced in these courses. On helpompaa ja tehokkaampaa käyttää code-switchingiä kuin hidastaa keskustelua etsimällä oikeaa termiä pääasiallisella kielellä, kun kummatkin osapuolet ymmärtävät myös muunkielisen termin. It is easier and more efficient to code-switch than to slow down the discussion looking for the right terms in the main language, when both interlocutors can cope with terms in another language. Eri kielien osaaminen ja ymmärtäminen (ymmärtäminen esim. kun osaa espanjaa, mutta ei italiaa, niin italiankielisen E-mailin lukeminen saattaa silti onnistua). On transfer: Knowing and understanding several languages (understanding i.e. Spanish, but not Italian, so you may still manage to understand an email in Italian). Various plurilingual projects are carried out in class and throughout the school. Students have the opportunity to learn pottery, Qi Gong, maths sessions, drama etc. using more than one language. School signage, memes, and proverbs are plurilingual across the school building. The school in Meran started its “plurilingual journey” in 2012 by participating in the ECML-project PlurCur. Since then various projects of plurilingual education have been planned and implemented. In particular, a team of language teachers at the Sprachengymnasium has been experiencing lessons based on general comparative language didactics (Allgemeine Sprachendidaktik). The aim of the plurilingual work is to promote the transfer of skills and competence from one language to the other/s and facilitate linguistic networked thinking. On a higher level, the promotion and enhancing of multilingual and multicultural awareness at a local, regional and international level is a leading objective. We gained more flexibility in using the Turkish language. It was an advantage for our integration and to find work in Turkey. Faruk says: Now I can communicate better. I can talk and understand what they want me to do so I can be very effective and it makes my work more efficient. Easy to use and efficient communication module for teachers from schools taking part in the project. Teachers are able to share experiences, exchange ideas, ask questions, give advice and maintain contact among each other. Communication module for students, where semi-formal exchange of information takes place. Students using this tool have a chance to talk to each other, ask questions, seek or give advice and to support their peers. Module where teachers from different schools are able to express their opinions regarding plurilingualism and its implementation in their own schools. In this section, the project consortium gathers any other resources relevant for the project area, moreower, you can submit your own resources. A plurilingual, inclusive and intercultural whole school policy embraces all languages present at a given school: majority and minority, regional, heritage and neighbouring languages. Languages as subjects are taught in an inclusive way; language and non-language instruction overlap so that all subject teaching can also become language teaching. The languages used are those already present at a given institution. This can either mean that schools offer additional language courses in the students’ family languages and/or that teachers encourage learners to use the languages they bring to the school in their subjects for clarification, meaning making, exchange etc. A multilingual approach to language learning means that learners get greater insight into the various structures of language for example by comparing and contrasting the languages they study. In this way, students become aware of positive and negative transfer between the languages they use. Such an approach helps students develop their metalinguistic awareness, that is, the awareness of how the languages work, and expand their language-learning strategies. 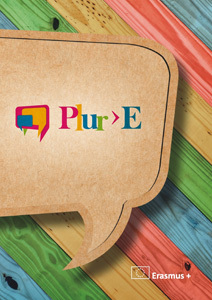 The first step of the Plur>E-project was the needs analysis of the partner schools. Its aim was to investigate the students’ and teachers’ views on their proposed multi-lingual projects. It focused primarily on the various languages learned at school; for example, heritage languages, minority languages and the languages of schooling. The results of the surveys were quite varied due to the different frameworks of each of the schools and countries in question. In general, there is a very positive attitude towards plurilingualism and the learning of multiple languages. English is the dominate language, followed by other modern languages in Europe like Spanish, French and German. For immigrants the majority language is very important. The needs analysis also shows that there is a consensus among students as well as teachers regarding the need for improvement and further development in certain regions. These areas include alternative learning / teaching methods such as CLIL, exchange programs, internship abroad, personal experiences and diversified methods (making languages more accessible and ‘alive’), and a stronger focus on everyday situations and oral communication.